Mugur Isarescu, BNR governor Author (BNR) License: all rights reserved. BUCHAREST (Romania), February 11 (SeeNews) - Romania's central bank said on Monday it is raising its annual inflation forecast for 2019 to 3% from 2.9%, within its target band of 1.5-3.5%. The central bank, BNR, also said in its February inflation report it has lowered its 2020 inflation forecast by 0.1 percentage points to 3.1%. Consumer price inflation is expected to fall to 2.4% in the third quarter and then decrease slightly throughout the rest of the year, impacted by lower fuel prices, BNR said. 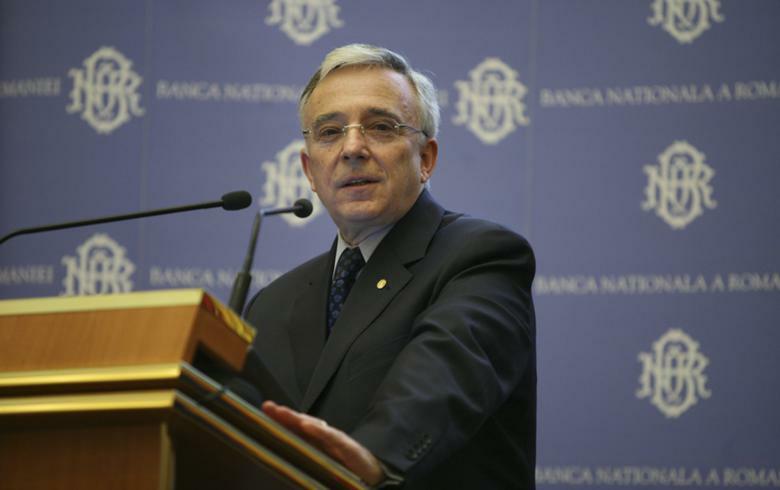 Governor Mugur Isarescu said that although inflation expectations remain under control, there is a danger that they will be overturned by public statements of government officials attacking the central bank or by fiscal policies whose impact is not well assessed. "Inflation looks good, let's not push it. Inflation dropped from 5.4% with a key rate of only 2.5%," Isarescu said, referring to recent criticism from the government regarding BNR's capacity of maintaining a healthy exchange rate for the leu. On February 7, BNR maintained its monetary policy rate at 2.50%.